Many have predicted the death of brick and mortar stores and the rise of e-commerce as online sales have progressively taken over a larger portion of total retail sales. However, even as e-commerce and mobile commerce continue to experience a meteoric rise in popularity, brick and mortar storefronts will continue to be a staple of retailers. Even as brick and mortar stores adapt to changing times, they will never go away – the reasons for which are simple, and are summed up perfectly on the Business 2 Community blog written by author Libra White. Shopping is a visceral experience: people like to smell and touch the things they buy – whether that’s a sweater or a bottle of perfume, the experience is obviously much better in person, in a store. Socialization: shopping has always been a social experience, and will continue to be. Shopping is about spending time with friends or family and asking opinions about how something looks before buying it. The mall workout: walking through a mall and trying on clothes is an excellent way to burn calories. Online shopping doesn't offer nearly the same benefits. No shipping frustration: yes, sometimes shopping online can be less expensive than a traditional store, but the majority of the time once you add in extra costs of shipping (standard, express, overnight), your online deal isn’t looking as great – especially if bad weather hits, and your package is delayed an extra week or two. No product disappointment: When you go to a store, you know exactly how something fits – or doesn’t fit – and exactly what you’re getting. Omnichannel experience: even though your laptop is at home, you can still leverage technology through various shopping apps to find the best deals and learn more about new items. Instant gratification: shipping something you bought online can take days to weeks before it finally gets to you. If you go to a store, you can get the product immediately. Convenience is still king. 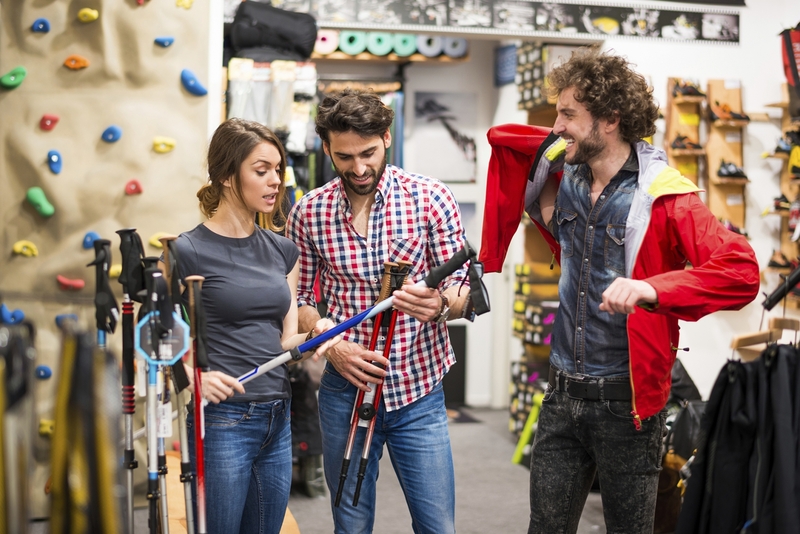 While online shopping is gaining ground, brick-and-mortar is here to stay, as can be seen with the rise of e-tailers establishing a physical presence. Learn more about the lastest retail real estate trends in our 2017 Retail Real Estate Outlook.